Determining whether a slot is fun or not is quite subjective and can depend on the type of player you are. That’s why we have taken a look at the best pokies for certain types of players, because at the end of the day you aren’t going to find a online slot fun to play if you you aren’t a fan of the genre. If you aren’t a fan of any of the following genres, our advice is to visit Slots Million casino via our links. A specialist pokies-only online casino, they have a handy search filter where visitors can indicate which genre you prefer to view an array compatible slots that you will enjoy. Pokies based on movies generally have a lot to live up to, but when the best software developers are behind them their HD graphics and innovative features generally mean they live up to the hype. 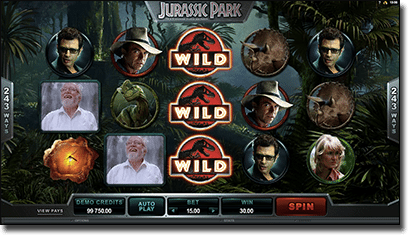 Whether you’re a fan of the original films, or prefer the new Jurassic World movie, you will enjoy the Microgaming slot, Jurassic Park. Featuring 5 reels and 243 ways to win, players are greeted with incredible graphics of our favourite dinosaurs, as well as characters from the original films, and a soundtrack that brings the slot to life. There is a T-Rex Alert mode that is activated at random where you can win big with Wild symbols, as well as up to 12 free spins and a multiplier from 2x up to 6x available. Dracula Untold was released in 2014 and if you are one of the many to have a soft spot for the vampire you will enjoy Dracula by Net Entertainment. Dracula offers an incredibly popular format of 5 reels and 4 rows, with 40 paylines, as well as 10 free spins and an innovative bat feature that wouldn’t be nearly as good if it wasn’t for the 3D graphics. This feature is triggered at random and sees bats flying all over the screen to settle on the reels and change into the same symbol for a big win. While this slot isn’t based on a film, we can’t help seeing similarities to The Hangover. If you were a fan of Alan, Phil, Stu, and Doug then you will enjoy BetSoft’s Weekend in Vegas. Instead of our favourite characters we follow Loony Larry, Balanced Ben, and Cautious Chris, who all seem to resemble characteristics of Alan, Phil, and Stu respectively. These characters each offer their own bonus round where you can win credits, and there are also up to 20 free spins to score on this 243 ways to win slot. While you have a lot of money to spend, it doesn’t necessarily mean you don’t want to win money. High rollers will get the biggest kick out of playing progressives as they have the biggest possible jackpot on offer. 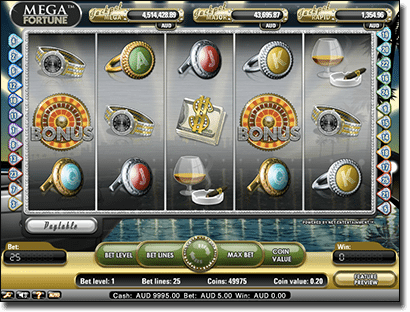 Mega Moolah has also made many players millionaires, and is Microgaming’s most popular progressive. Featuring an African Safari theme, there are four bonus jackpots but to get the Mega prize you do need to be playing the maximum bet per spin to trigger the jackpot, which will be no problem for high rollers as it is only $6.25 per spin. There are also 15 free spins available on Mega Moolah and you can play it on your smartphone or tablet. Mega Fortune is one of the best progressives available and is powered by Net Entertainment. It broke the Guinness World Record for the biggest online win of €17,860,868 in 2013. It has made many players millionaires and features all the symbols you’d most likely indulge in if you won the jackpot, including a boat, champagne, jewellery, and more. 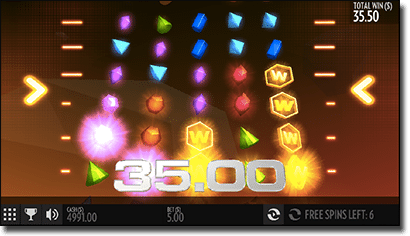 If you land at least three Scatter symbols then you will score a random number of free spins with a random multiplier, with the more Scatter symbols earning you a higher number of free spins and a higher multiplier. To score one of the three jackpots you need to land three Bonus symbols and you will be taken to three Wheel of Fortune type Wheels where you can spin to win one the prize pools. The maximum bet is $50 for this slot, though you don’t need to be playing it to activate the bonus round. If you miss arcade games that were ever so popular in the 80’s, you’ll find comfort in these arcade-like slot machines. Flux offers a psychedelic and futurist ambience that arcade games offer and sees 15 paylines with bright 3D objects lining the 5 reels and 3 rows. Created by Thunderkick, Flux offers three possible outcomes when you trigger the Free Spins bonus round, including 16, 32, or 48 free spins with the ability to win both ways; 12, 24, or 26 free spins, with three additional rows added to the reels; or 8, 16, or 24 free spins with both the three additional rows and the win both ways option. NetEnt have created a classic fruit machine with an arcade feel due to the futuristic symbols that are quite stunning. Starburst only offers 10 paylines over 5 reels and 3 rows, and sees the classic symbols such as BAR, and 7, amongst colourful gems. 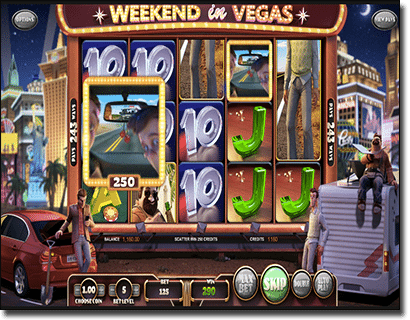 The Expanding Wild is the only bonus feature to this slot and activates when you land a Wild on reels 2, 3, or 4. It expands and remains for three re-spins, creating huge wins.